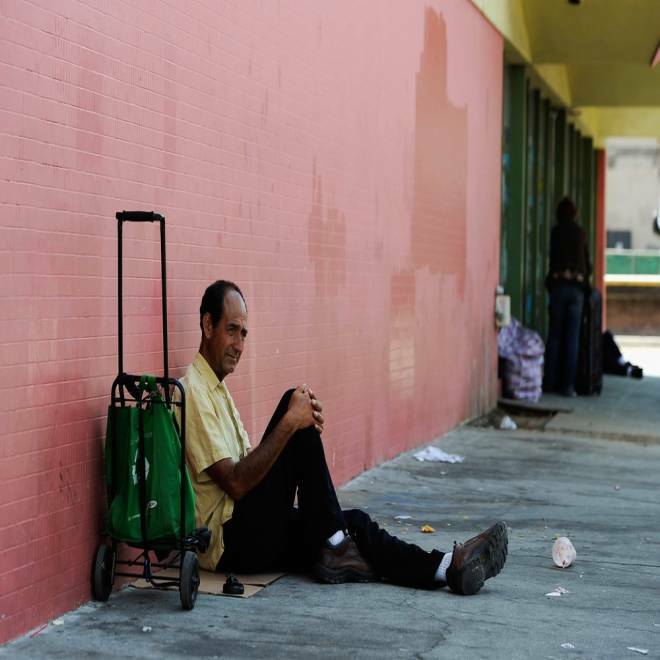 Juan Morena sits on a Los Angeles, Calif., sidewalk as he waits for the St. Francis Center soup kitchen to open on Sept. 13. WASHINGTON - Squeezed by rising living costs, a record number of Americans — nearly 1 in 2 — have fallen into poverty or are scraping by on earnings that classify them as low income. "People who never thought they would need food are in need of help," said Mayor Sly James of Kansas City, Mo., who co-chairs a mayors' task force on hunger and homelessness.